Home » BBC To Make Laurel and Hardy Film? Are Really going to have a Laurel and Hardy Film? So it appears that BBC films are making a Laurel and Hardy biopic starring Steve Coogan (aka Alan Partridge) as Stan Laurel and John C. Reilly as Oliver Hardy. The film will show the comedy geniuses at the end of their careers whilst on their final tour of the UK in 1953. It will show how the tour of the UK did not get off to the best start with poor attendances at the start but the draw of Laurel and Hardy ultimately turns out to be a success. The film will apparently show Hardy’s fragile health which put the comic partnership at risk. It is due to be directed by Jon S. Baird with the screenplay being written by Jeff Pope. Whilst I and the rest of the Popcorn Cinema Show team are huge Laurel and Hardy fans, I really don’t like these kind of films, I will of course give it a look. I have to admit I will struggle to see any actors playing these comedy legends. Maybe some good will come out of though, will this prompt television channels to start showing their film to a entirely new audience? Who knows, but this would be a missed opportunity not to show how just how groundbreaking their comedy was. I find their films as funny now as the first time I watched my first Laurel and Hardy film. Time to properly restore their entire film collection and release them on Blu-ray? I think it’s about time and before anyone says “They don’t need restoring any further” I simply say that’s fine you stick to the DVD’s but I would love to see them all restored, NOT colorised, just picture and sound quality. A great gag made even better by the great Oliver Hardy’s response! 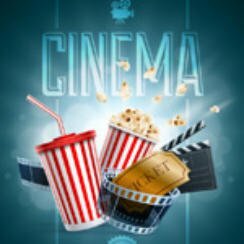 First time visiting Popcorn Cinema Show? Why not take some time and have a look around. Why not bookmark our movie releases page so you can always quickly check on latest releases at the Cinema.